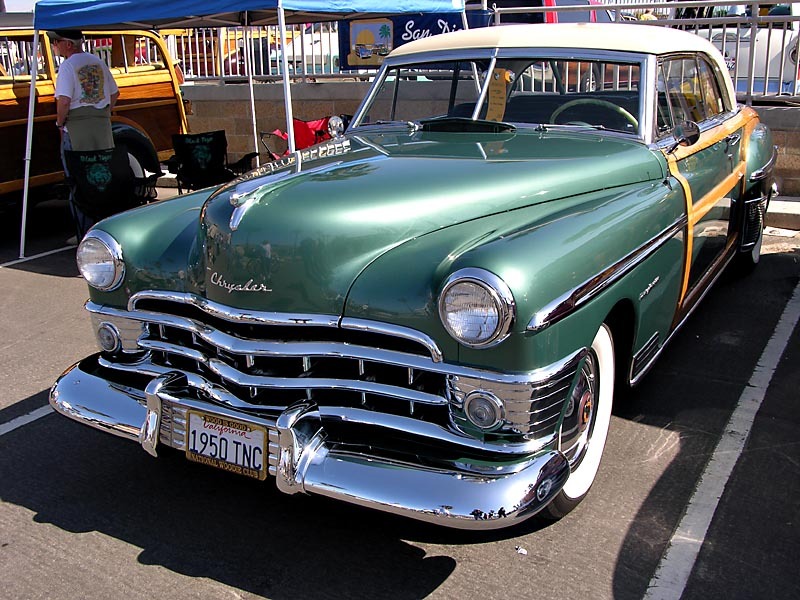 1950 Chrysler Town & Country Two-Door Hardtop. The last year for the true "woodie" Town & Country. The name would continue to be used by Chrysler to designate station wagons and mini- vans over the years.